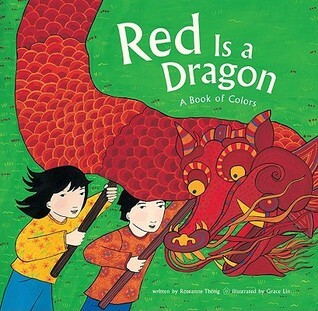 Younger children will be engaged by Red Is a Dragon, as a young girl finds a rainbow of colors in her everyday life. I'm kind of underwhelmed. This book of colours shows them off well enough, but I wasn't crazy about the illustrations (some are fine, but in others the people are drawn in a style that looks too simple and almost... I don't know... incomplete?) and the rhyming text is really clunky in places. 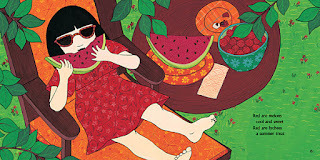 The whole book has a Chinese flavour, highlighting objects in various colours (there's a bit of a glossary at the back, explaining what some things are: dumplings, silk fans, bottle gourds, etc.). However, since I just read the delightful Goldy Luck and the Three Pandas--which also explained a bit about Chinese cultural symbols--Red Is a Dragon had a lot of live up to. Unfortunately, it didn't quite get there. 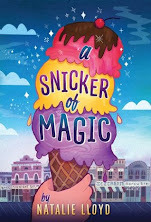 I started this blog so I could have a place to share my thoughts about the books I read, as well as to communicate with others in the book blogosphere. Share book reviews and ratings with La Coccinelle, and even join a book club on Goodreads. La Coccinelle has read 13 books toward her goal of 60 books. Review - Don't Touch This Book! Review - Don't Push the Button! Review - Quit Calling Me a Monster! Review - Leave Me Alone! Review - Are We Still Friends? Review - Read the Book, Lemmings! Review - I Have to Go! Review - We Share Everything!